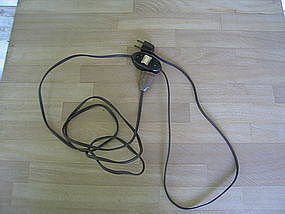 Vintage 8 foot extension cord with on/off switch. It is marked 5A.-250V.10V.-125V. 5A.-125VT. There is a Handy Dan sticker on one side. It is in fine working order. I need your zip code to calculate the postage.